Pressure washing your home and your home’s hard surface surroundings are one of the best things that you can do to beautify its’ exterior environment. Most people’s homes are their biggest financial and physical investment, and it is important to maintain proper care for your home and not allow mold or grime to build and stay around for too long. By pressure washing the exterior of your home, you can provide proper maintenance for this significant investment. 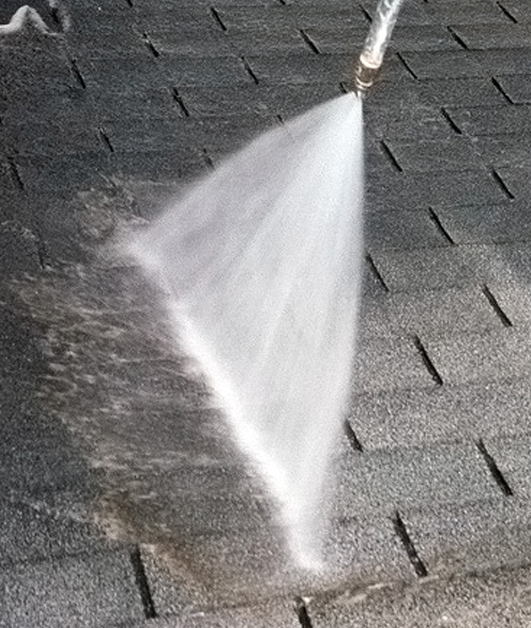 Pressure washing is performed in two major ways; either by using a hot water technique or a cold water technique. Depending on the surface and the dirty stuff that you are trying to remove with pressure washing will depend on which technique you should choose. The main thing to consider is what stuff you are trying to clean off. If you need to simply remove dirt, then cold water pressure washing should do the trick. However, if you need to clean something that has an oily substance or a greasy substance that needs to be removed, then you will want to perform hot water pressure. Generally, hot water pressure cleaning is preferable over cold water washing because it is superior in performance. Hot water pressure washing & cleaning will cut through dirt, grime, grease, and oil and works the best for cleaning tough substances off any surface. The combination of heat, water agitation, and soap is really an excellent combination when there is a tough job to clean; thus, hot water pressure washing is preferred for those types of jobs. One consideration, though, is that hot water pressure washing & cleaning can cost more than cold water pressure washing. Hot water washing does require less soap, however. If you are in need of a complete pressure washing service, then contact Safe Touch Pressure Washing and Roof Cleaning, located in Jacksonville, Florida. Our team of pressure washing specialists are well-qualified in the best techniques of pressure washing. We promise you will be happy with the results, as our job is not complete until you have approved the final result. Whether you are in need of a house cleaning, patio/deck cleaning, driveway cleaning, or sidewalk cleaning, our company can rid your home of Jacksonville’s most pesky problems, including; mold, grime, hard water stains, dirt, and other unwanted minerals found on, and around, your home.